The breast feathers are clearly visible, as are the two upraised wings. But it's the feathered legs that really give it away as a bird of prey – probably a sparrowhawk, swooping down to try and take one of the pigeons that patrol for dropped seeds beneath our bird feeder, then rising out of its stoop and attempting to fly into our living room. I looked around, but the bird itself was nowhere to be seen, so I presume it wasn't badly injured by hitting the glass. 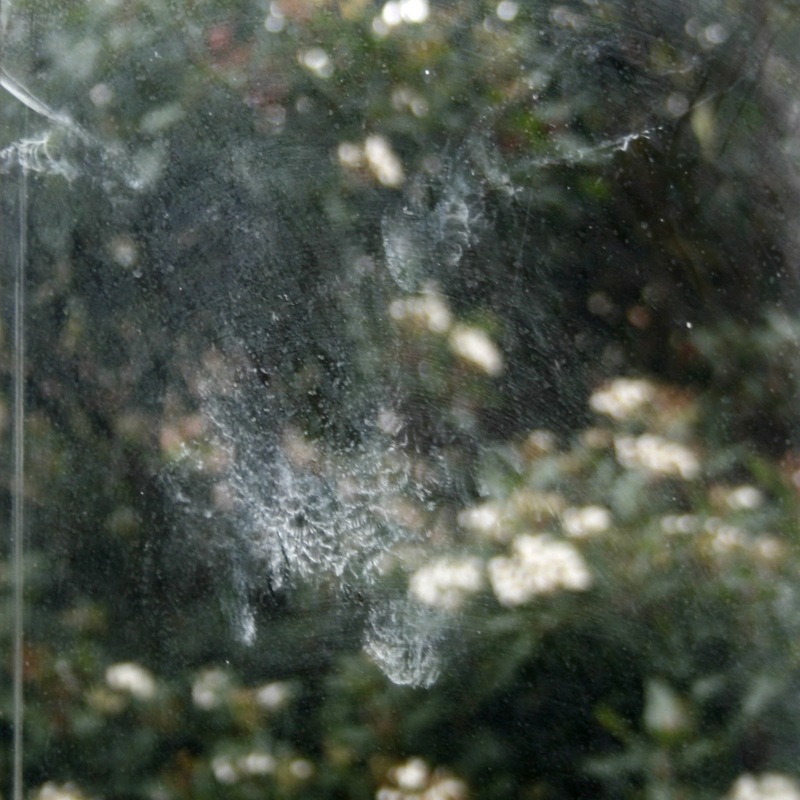 Not all birds produce the powder that leaves these impressions, but most birds of prey do, which is why they seem to hit our windows more often; other species simply leave no trace. More birdstrikes can be seen here.